Demonstrating that coeliacs have a top sense of humour and exemplifying how good can come from not-good, Carly at GlutenFreeB.com runs this light-hearted annual award for the worst gluten-free dessert offering, and this year’s winner is memorably, hilariously bad. See it here. Teague is the head chef at Indigo in One Aldwych. I ate there in November with some colleagues – a meal reviewed by my pal Sue Cane – and this warm allergy-free bread was the highlight. This was the restaurant, remember, that went GF and DF … without anybody noticing. 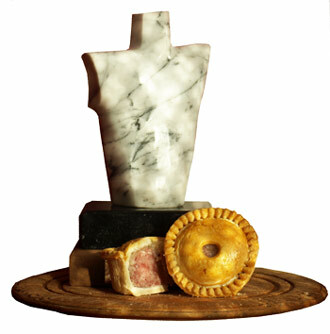 I’m biased, but the 8th Year of the FreeFrom Food Awards (winner, Voakes Pork Pie, pictured right), the 4th of the FreeFrom Skincare Awards, and the 2nd of the FreeFrom Eating Out Awards, each saw a number of terrific products and businesses rightly rewarded for continuing to provide excellent free from and allergy-friendly services to consumers. I know my business takes a deserved kicking from time to time (see below …) but there were some terrific articles published in 2015. Try “The Real Side Effect of a Gluten-Free Diet: Scientific Illiteracy” in Vox.Com. Or “The Myth of Big Bad Gluten” in the NYT. Or “Bogus Allergy Tests Causing Real Harm” in the Guardian. Or “Diet Fads are Destroying Us” from Salon. There are so many good ones covering free from, food intolerance, food allergy and gut health that I’ve been enjoying reading this year, but I’m going to plug two which may have gone under many people’s radars – FoodConnections by Laurie Laforest and The Sensitive Gut by Dr Nick Read – both of which I think are really great. The website has not been without its teething problems, but the launches of new free from stores, and the commitment with which they’ve fully entered the free from market in 2015, does deserve recognition. Dedicated Twitter and Facebook social media accounts are welcome – and give them an edge over the supermarkets who have bafflingly failed to follow suit. Exciting stuff – and heading to Phase III Trials. A fantastic new ambassador for Coeliac UK – honest, funny and dedicated. Responds to coeliacs on social media. Makes fun of her bowels. She’s been great. Remarkable and transformative study, by a team of dedicated scientists and allergists led by Professor Gideon Lack, which will shape future allergy prevention advice. Read more here. For appalling promotion of sugary / treat foods – including free from foods – as ‘healthy snacking’ products, and declining to offer a staff nutritionist for interview on the matter. Read more here. 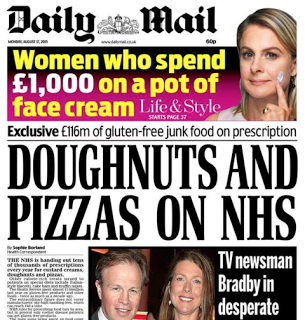 For a silly press release trumpeting a leading-the-way approach to allergy regulations – which turned out to be literally nothing more than an upholding of the law – mixed in with some confusion about ingredients and allergens, plus careless and gross misinterpretation of statistics. The full story – and CAMRA’s comments – can be read here. Disappointingly, Allergy UK reproduced the inaccurate information, and took almost a month to quietly delete the errors and correct the post – or ‘update’ it, as they have it on their site. For ongoing short-sightedness about peanuts on flights. Read Penny’s account here. Sorry, Genius. Some terrific products and a trailblazing founder can’t rescue you from a year of dodgy broken bread (which has inspired a Twitter account) and for a marketing policy founded on promoting the gluten-free diet as a route to fitness, health and sporting achievement – which is unproven at best, and false at worst. Any GP who professes to be allergic to allergies deserves their place in the top 10, surely? For publishing this piece. For accusing those on free-from diets for wanting to feel ‘special’ and for trotting out the spurious ‘there were no allergies in the olden days’ claim to justify the author’s clear disdain. 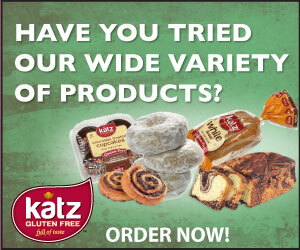 For the Gluten Free Prescription fiasco – right – and for their too-little, too-late correction. Loathsome anti-EU body gathers ninety-odd unknowns and a few celebrity foodies to dub life-saving food allergen legislation a “bureaucratic nightmare”. Comments by Prue Leith and Thomasina Miers merely highlighted their ignorance. A shameful episode, all round, which made fools of all signatories, and whose backsides will one day be bitten by it, I’ll bet. More here. Unpleasant of character, clueless of glutenological knowledge – as demonstrated by the events that transpired in July. It takes some ego to dismiss the pleas of qualified dietitians to correct his deeply misguided and mistaken comments made on Twitter on the supposed dangers of gluten – and promotion of GF for weight loss – but that’s just what he did this year, even claiming they (the dietitians) “want to be paid for advice”. An arse. And my choice for low of the year. What were your highs and lows from 2015? Great list – the photo's from #fruitisnotapudding are tragic.